I hyperventilated when I saw this Erickson Beamon cuff going for 75 euro on urbanoutfitters.co.uk site. Last time I was that excited is when Erickson Beamon collaborated with Target and got my first and last piece of EB divine jewelry! 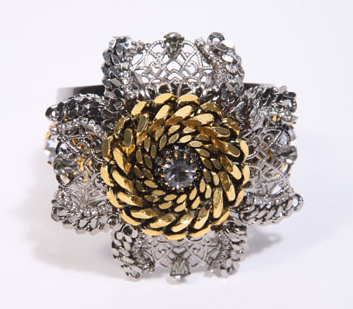 It's one hot sale find with Erickson Beamon pieces retailing at $500 and above! SCORE!